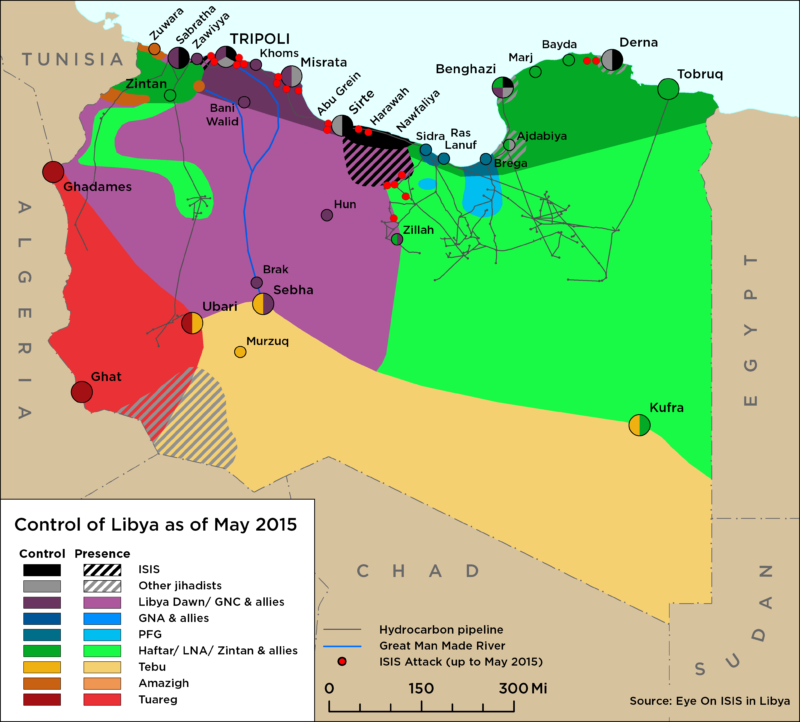 There was no discernable activity by other jihadi actors in Libya this week. Demonstrators in Benghazi were killed by mortar fire. The alliance of convenience between the Libyan National Army and the Derna Mujahideen Shura Council continues to hold. Extremists maintain complicated relationships in Sabratha and Ajdabiya. While LNA forces are reportedly making gains in territories held by Benghazi Revolutionaries Shura Council (BRSC) forces, other reports indicate the success of the BRSC in destroying LNA tanks and fighter aircraft in Benina airport. There was no discernable action by other jihadi actors in Libya this week. 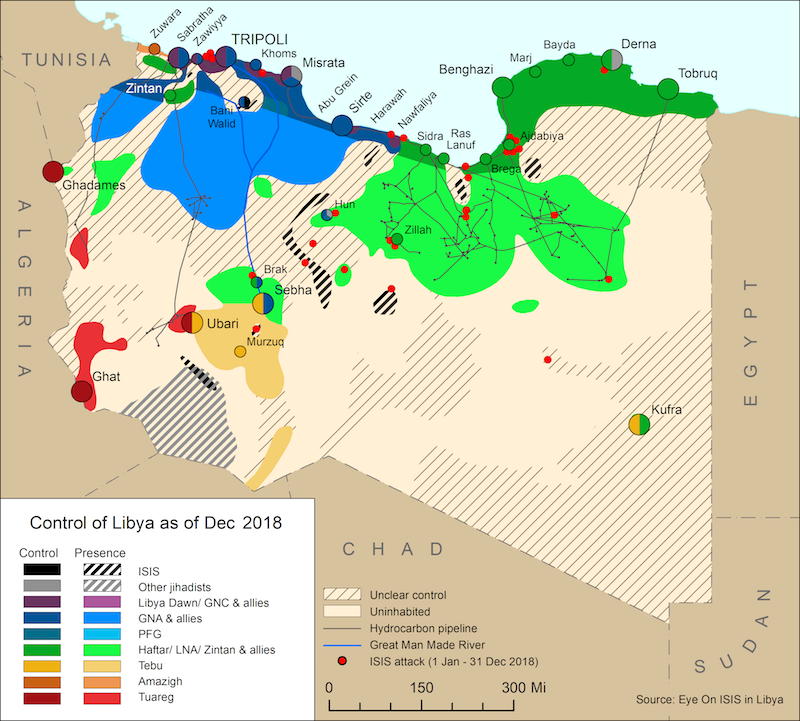 In Benghazi, fighting between LNA troops affiliated with Operation Dignity and militias of the Benghazi’s Revolutionaries Shura Council (BRSC) concentrated for the most part in the al-Lathama, Suq al-Sayyarat and Salaam districts. There were no significant actions by other jihadi actors compared to ISIS this week. In Benghazi, fighting continues unabated between Khalifa Haftar’s forces and troops of the Benghazi Revolutionaries Shura Council (BRSC) and IS. Fighting continued in Derna mostly between Derna Mujahideen Shura Council (DMSC) forces and IS members. Violence is also set to continue to rage in Derna where LNA troops are still fighting it out against militant forces belonging to the Derna Mujahideen Shura Council, while the Shura Council also fights IS. There was further fierce fighting in Benghazi this week as the Benghazi Revolutionaries Shura Council continued its push to expand its area of control. The Derna Mujahideen Shura Council is an entrenched as ever, and is feeling even more sure itself having all but driven IS out of the town. There was fierce fighting in Ajdabia when local LNA forces which comprise fighters loyal to federalist leader, Ibrahim Jedhran, attacked the Ajdabia Revolutionaries Shura Council, but a truce has now been signed. There was no overt activity by other jihadi actors in Libya this week.